Vessel elements relatively small and abundant. 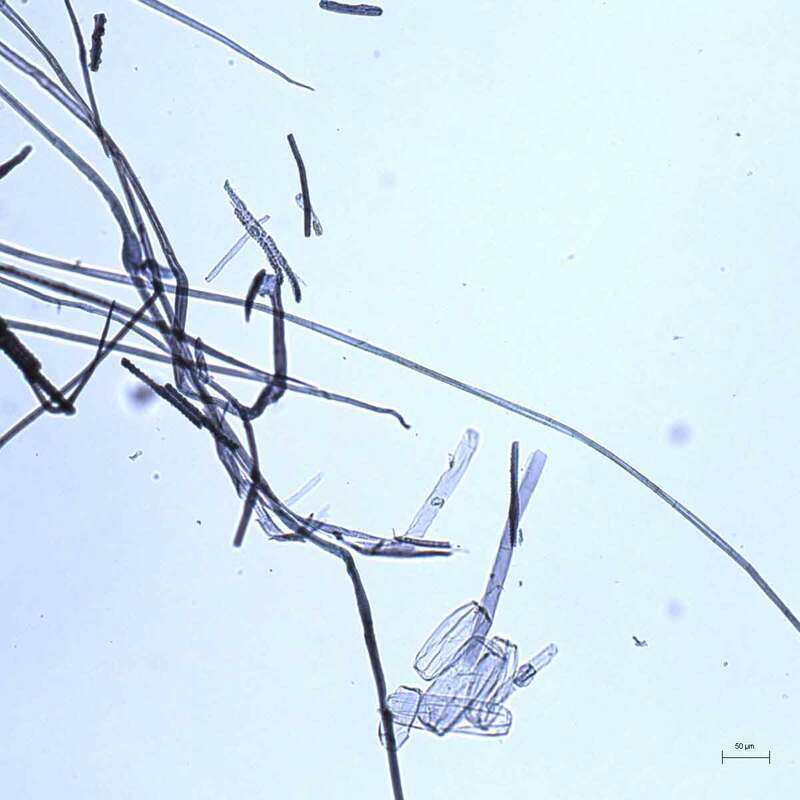 Numerous small parenchyma cells in barrel-shaped, with thin-walled. Pitted vessel elements. Epidermal cells in sawtooth-shape. Prickle hairs. Short fibers with thick and narrow walls. Numerous narrow epidermal cells with conical protuberances. There were several centers of domestication in China south of Yangtze, Thailand and northern India. Burma, China, Korea, India, Japan. Rice is one of the three main food grasses. It is found from sea level to 2000 meters. It is an annual plant, with a stem topped by a thatch, ranging from one meter to five meters (floating rice). 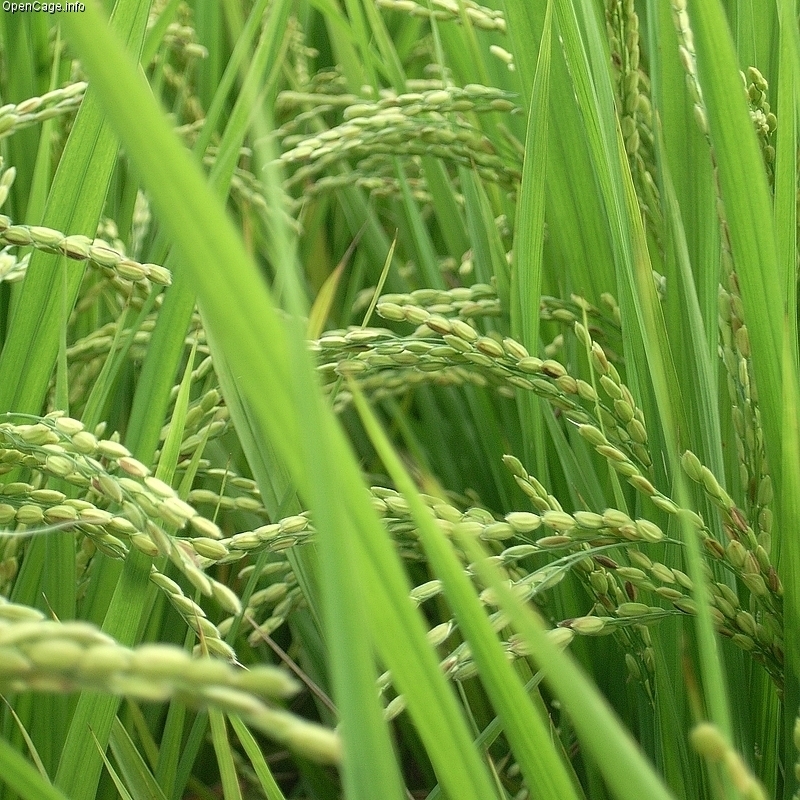 Rice begins to be cultivated from the Neolithic period (-8000). The wild relative which Oryza sativa comes from is Oryza rufipogon which existence is attested from about 650,000 years. Oryza sativa is derived from various events of domestication around -5000 in Northern India, and at the border between China and Burma. Rice is regularly cultivated in China as early as -3000. Its cultivation came to Japan to -1700 and covers most areas in warm tropical Asia. The straw is an abundant agricultural by-product that finds many uses: papermaking fibers, biomass fuel, mulch for animals etc. In the paper industry, it is often mixed with long bast fibers to reduce the effect of diffusion of ink in paper. Making paper from rice or wheat straws is simpler than with other materials because they are softer materials, and they require less preparation time. The most famous paper containing rice straw is Xuan zhi. This paper is produced in Jing County, Anhui Province. It is made from fibers from the bark of blue sandalwood and rice straw. It is the mixture of the two types of fibers that gives the paper its qualities for painting and calligraphy, in particular the effect of sharp brushstrokes. Xuan paper is cited in the "Xīn Tángshū" or “New history of Tang” (edited by official scholars of the Song Dynasty), in 1060. Its manufacture in Jing County dates back to Tang Dynasty (618-907). Neighboring cities around Xuancheng and Taiping were production centers. Jing County during the Tang period was under the juridiction of Xuanzhou prefecture, which gave it its name. 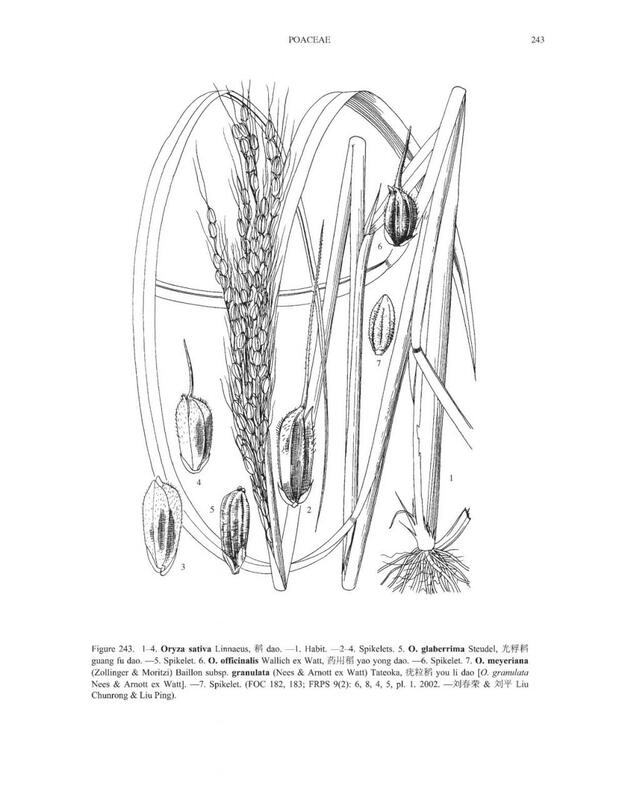 Gradually during the Song dynasty (960-1279), papermaking moved essentially towards Jing County because the raw materials were abundant: Ulmus cavaleriei or Pteroceltis tatarinowii is an endemic species there and the rice is grown on site. 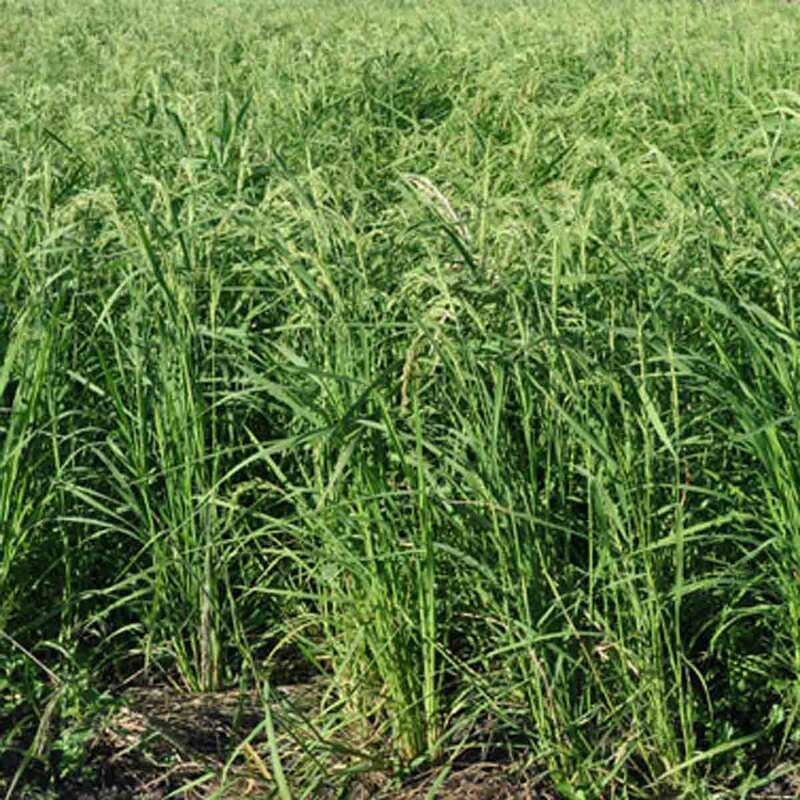 Originally, rice straw was added as a supplement to reduce the fibrous raw material costs. Other materials such as bamboo are also used during the Song and Yuan dynasties ((1280-1368). During the Ming (1368-1644), paper was made by mixing rice straw and bamboo : Song Yingxing (1587-1646) in the "Tian Gong Kai Wu" or "Creations of nature and work of man " (encyclopedia dated 1637) mentions the blending of straw with bamboo in the manufacture of wrapping paper. Straw is also used in the manufacture of paper kairyo hanshi or improved hanshi after the World War II. In Japan various parts of the straw are used: the highest quality is produced with the portion of the stem that goes from the first node to the head (sube), the second quality is composed of the part below the first node (nakanuki ) and the remainder gives the worst quality (dou). Rice flour is used to give gloss to the paper and can be mixed with chalk, kaolin to load paper. The various straws are used in combination with the bark of Broussonetia. They are additional raw materials to reduce the cost. After harvesting and removing of the seeds, the straw is beaten to soften it. Then the stalks are layered with lime in a pit covered with earth during 6 months; this allows rapid disintegration. The beating is shorter and less violent than for bamboo or bark pulps. "Tian Gong Kai Wu" variant: the straw is beaten at first then after immersion in lime water, it is buried in a pit. After disintegration, straw, placed in cloth bags, is rinsed in river.